Zoram People’s Movement (ZPM), a pre-poll electoral alliance formed by seven political parties or groups of Mizoram, excluding the ruling Congress and the main opposition, the MNF, has pledged to lift the existing Mizoram Liquor (Prohibition and Control) or MLPC Act, 2014 if it comes to power in the next Assembly elections slated later this year. The MLPC Act, which allows opening of liquor shops in the State came into force under the Congress-led government in January, 2105. There are more than 26 retail liquor shops and two bars across the State. Addressing media persons in Aizawl on Monday, ZPM general secretary, K. Sapdanga, who is also the editor of largest local vernacular paper ‘Vanglaini’said they will lift the existing liquor act if they come to power in the upcoming Assembly elections. He said that the MLPC Act has strongly affected the Mizo society and several youths have died due to consumption of liquor. 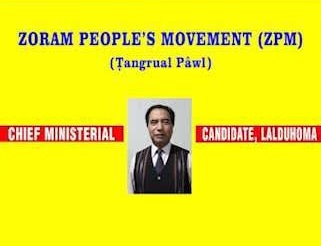 The ZPM leader, however, did not make it clear whether or not there will be total prohibition in the State, if the alliance is voted to power. Notably, last week, Mizo National Front (MNF) president Zoramthanga had alleged that over 500 policemen and 5,000 civilians have died due to consumption of liquor after opening of liquor shops since 2015. Sapdanga also said that if voted to power, his government will purchase gingers at the rate of Rs 50 per kilogram to ease off farmers. He alleged that almost all the ginger growers could not sell their products as the government did not arrange market for the same.